Sit yourself down for a cosy cuppa with your Designabear friend. 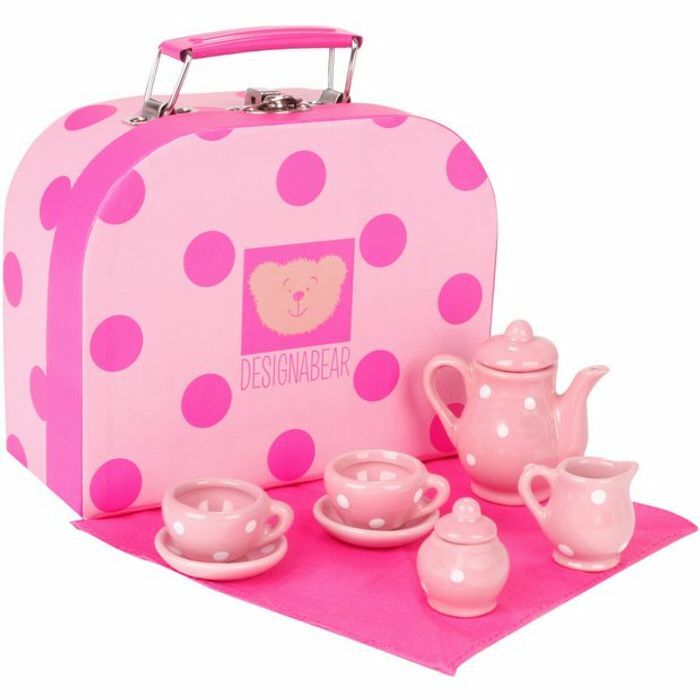 This tea set for two includes two cups, saucers, a teapot, sugar pot, milk jug and picnic blanket. Everything you need to enjoy tea for two. It all comes packed in a suitcase with a handle, making it easy for you to carry.